Search Results for "woman combing wet hair"
Young woman combing wet hair. She stands with her back to the camera and leads a wooden comb through her hair. Young woman combing wet hair. Long brown hair. She is brushing her wooden comb. INDONESIA, BALI, FEBRUARY 1977. Women, Girls, Boys And Men Bathing In The Jaba Tengah Purification Pool And A Woman Combing Her Wet Hair At The Tirta Empul Temple. Beautiful woman while combing wet hair in hairdressing salon. Hairstylist brushing hair while female haircut in beauty studio. Hairdresser working with client in hairdressing salon. Woman haircutter combing wet hair during male hairstyle in barbershop. Professional male hairstyle and hairdressing in beauty salon. Hairstylist combing wet hair of young woman before haircut in hairdressing salon. Female haircut with comb in beauty salon. Beauty and hair ctyle concept. Hairdresser combing wet woman hair in beauty studio. Brunette woman getting hair cut with scissors in hairdressing salon. Professional female haircut concept. Beauty and hairstyle. Hairdresser spraying water and combing wet hair before cutting. Male hairstyle in barber salon. Woman barber combing male hair in barbershop. Hairstylist combing wet hair before woman haircut in hairdressing salon. 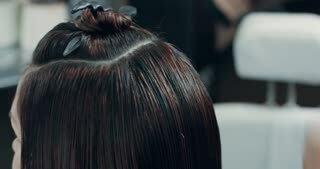 Close up female hairstyle in beauty salon. Hairdresser preparing to haircutting long hair. Hairdresser brushing wet hair of beautiful woman before hairstyle in beauty studio. 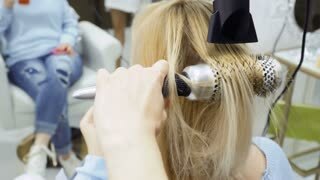 Hairstylist combing female hair with comb after washing in hairdressing salon. Beauty and female style. Hairstylist brushing wet hair to young woman in hairdressing studio before haircut. 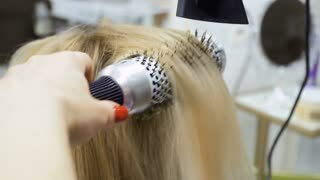 Hairdresser combing female hair after washing for hairstyling. Woman receiving hairstyle in beauty salon. Hairdresser combing long hair before female haircut in hairdressing salon. Close up woman hairstyle in beauty salon. Hairdresser preparing to haircutting wet hair. Asian man hairstylist combing and cutting wet hair while female haircut in beauty studio. Hairdresser cutting young woman in barbershop. Woman haircut concept. Beauty and care. Hairdresser combing wet hair while haircut with barber scissors in beauty studio. Hairstylist using scissors and comb cutting hair in hairdressing salon. Professsional female haircut and hairstyling. Hair cutting with hairdressing scissors and comb in male barber shop. Haircutter making hairstyle with hairdressing scissors and combing wet hair in beauty studio. Man hairstylist brushing wet hair before female hairstyle in beauty studio. Hairdresser combing female hair with comb for cutting in hairdressing salon. Beauty and care concept. Close-up hairdresser combs wet hair client. Hairdresser stylist puts a moisturizing oil mask on the girl's hair. Modern hair care. Haircutter combing hair and cutting with hairdressing scissors in barbershop. Close up hand hairdresser cutting wet male hair with hairdressing scissors in beauty salon.